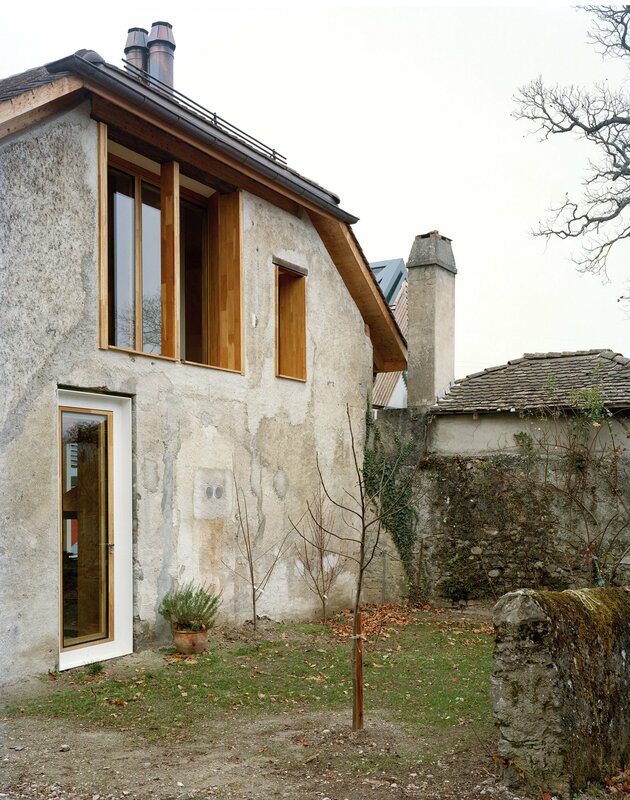 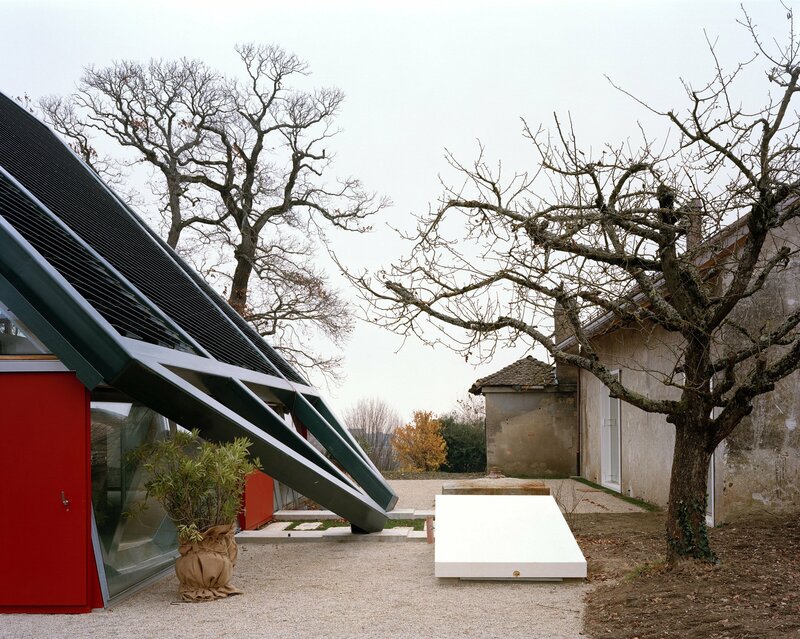 The intervention by dieterdietz.org immerses itself in an evocative context of a 200-year-old Chestnut tree and a very tall Sycamore in the midst of the vineyards of Chigny, Switzerland, that hide a cluster of carefully proportioned houses dating from the 19th Century, which are perfectly integrated into the landscape. 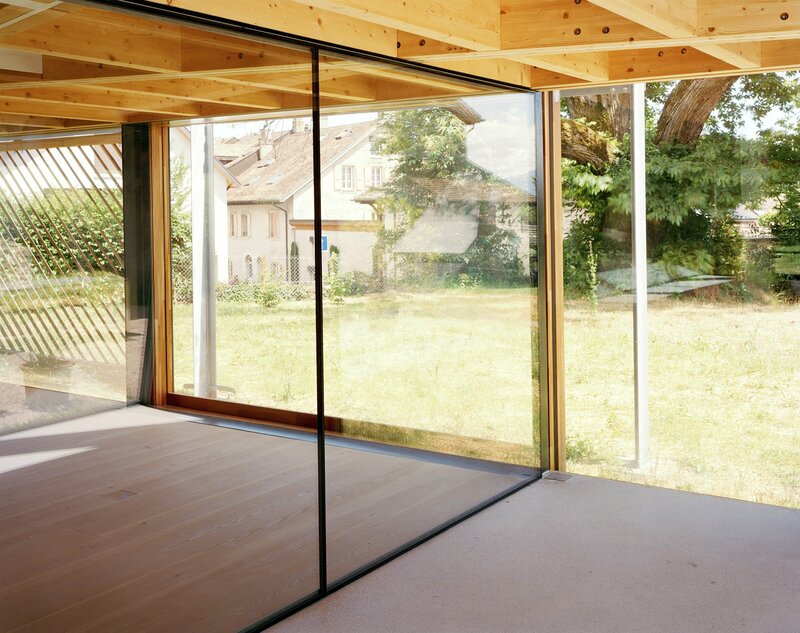 The view opens towards the Lake of Geneva and the French Alps, with the impressive Mont Blanc blurring against the sky: a perfect setting for a very unique project. 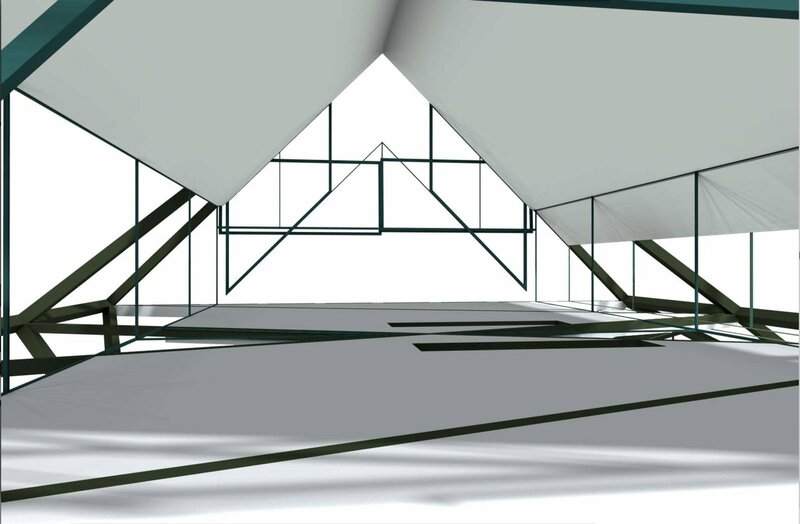 The client requested a design which fostered the coexistence of shared and individual living spaces to provide an opportunity to live independently within a community of friends and their families. 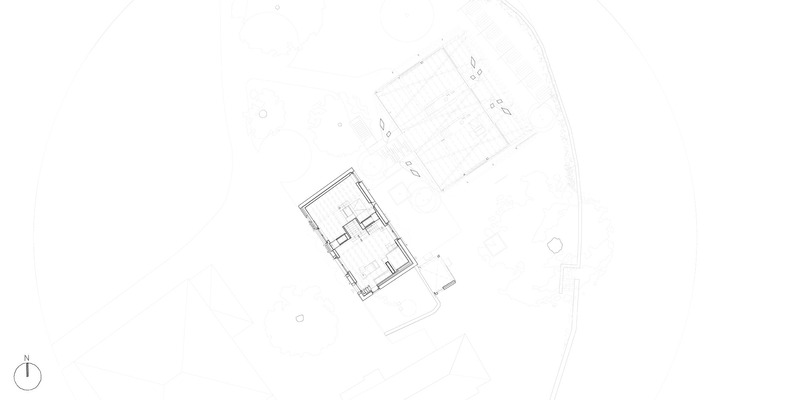 In response to the brief, the refurbishment of one of the 19th Century buildings, formerly a press-house, and the design of a new house were proposed. 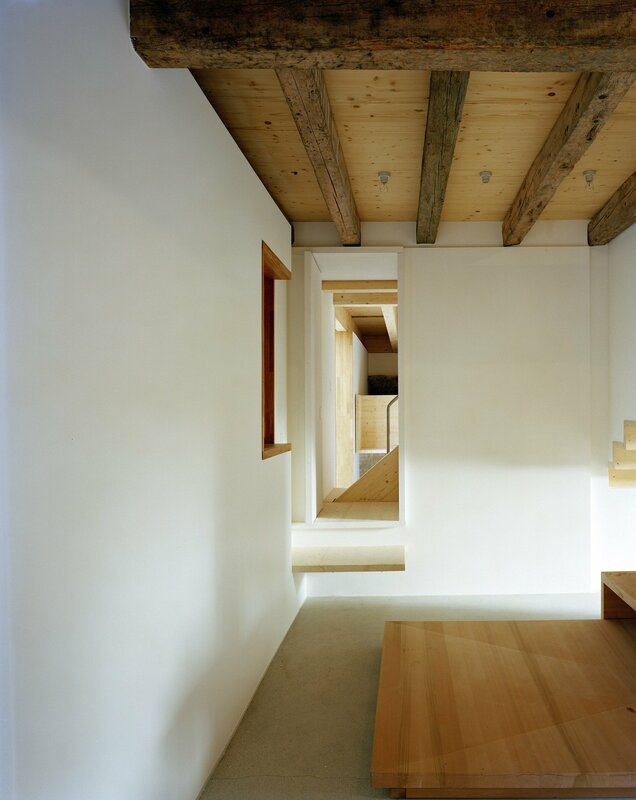 The project follows the prevailing characteristics of this rural site, where solitary volumes in conglomerates provide space and shelter for everyday activities. 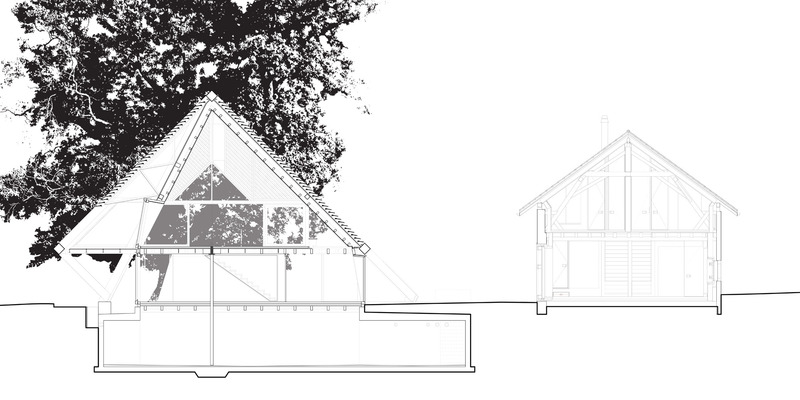 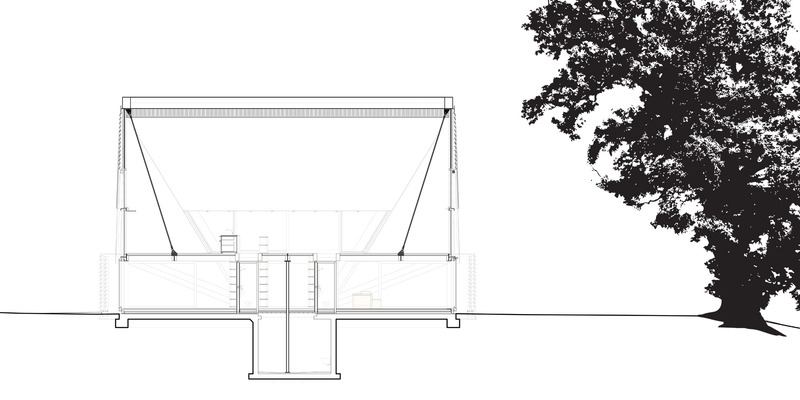 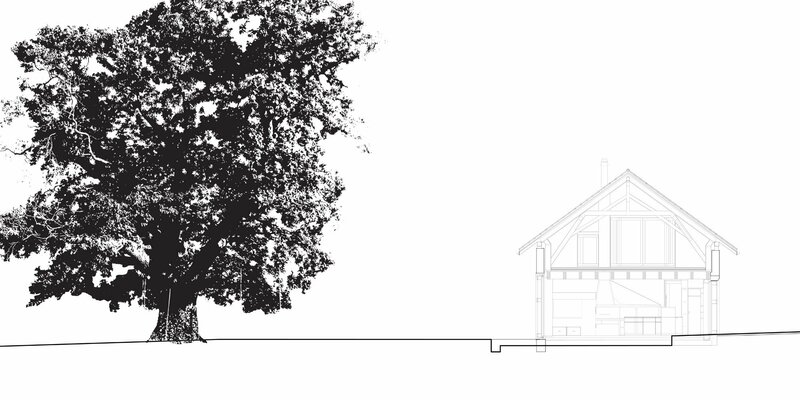 By adding a house and following the typology of a barn, a further gravitational mass has been added to the interplay of volumes among the trees. 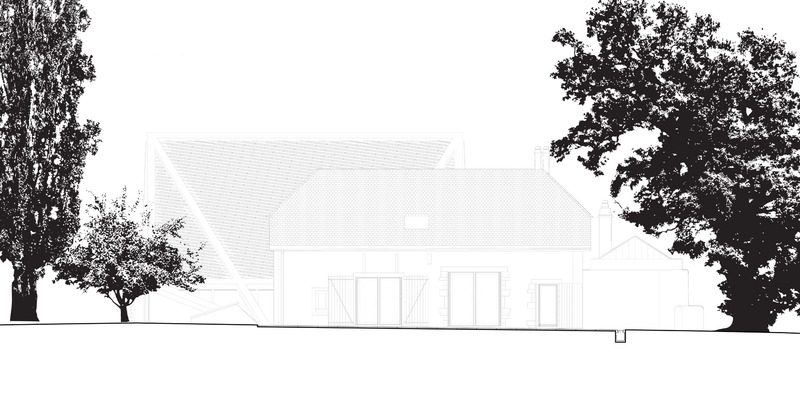 The garden remains the locus of identity, where the refurbished Pressoir (press-house) and the new Grange (barn) articulate an interstitial court in the uninterrupted landscape. 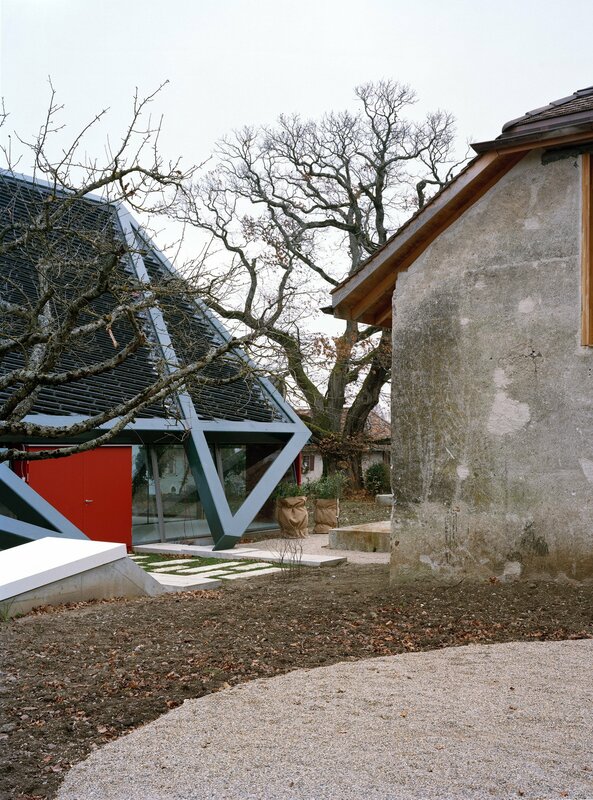 Chestnuts will fall close to a new roof, built entirely of nano-film coated solar cells that provide energy for the new and the refurbished houses. 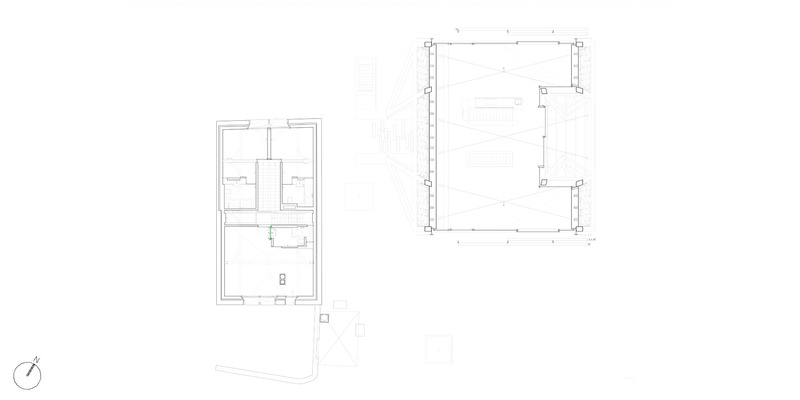 The layout of each house is structured around a generous-sized room that serves as a social hub for the people living in both houses. 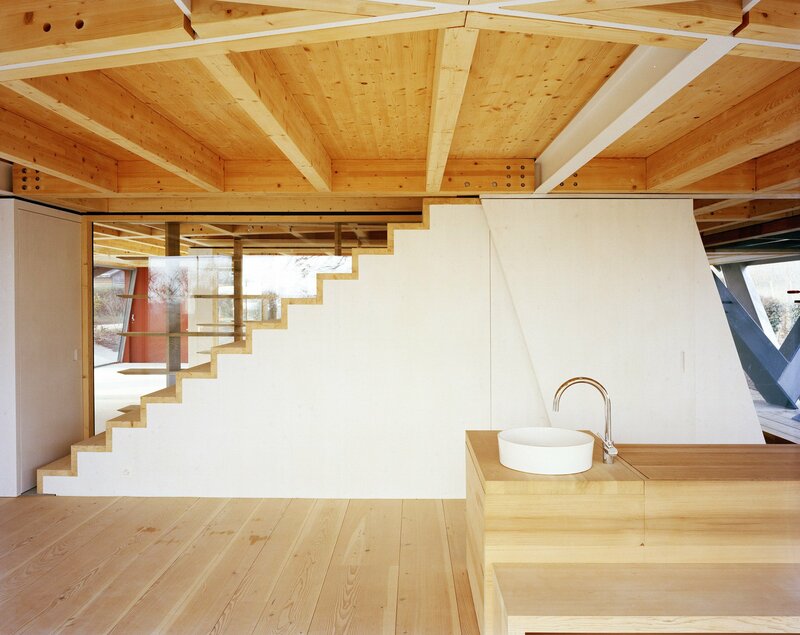 Thus, the two houses can be inhabited as one common place. 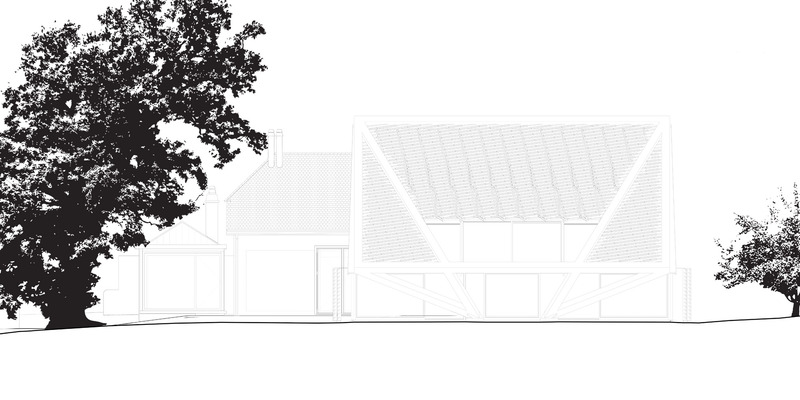 Likewise, each house can be individually occupied, as both Grange and Pressoir are suited as work and living environments with a plan that plays on interstitial thresholds of voids, doors, curtains and sliding panels that gradually negotiate between public and private spheres. 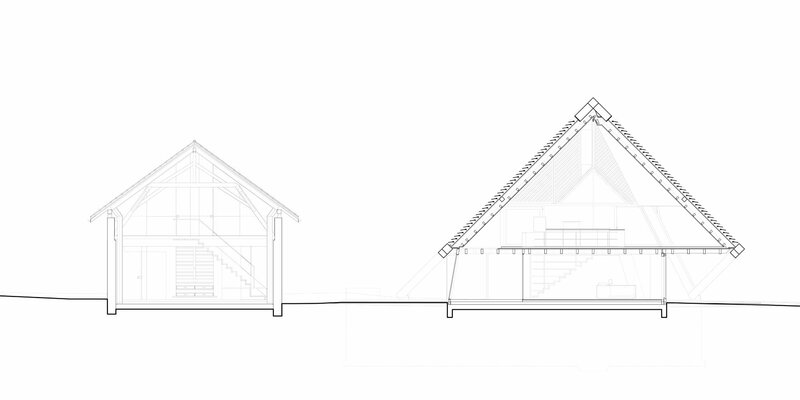 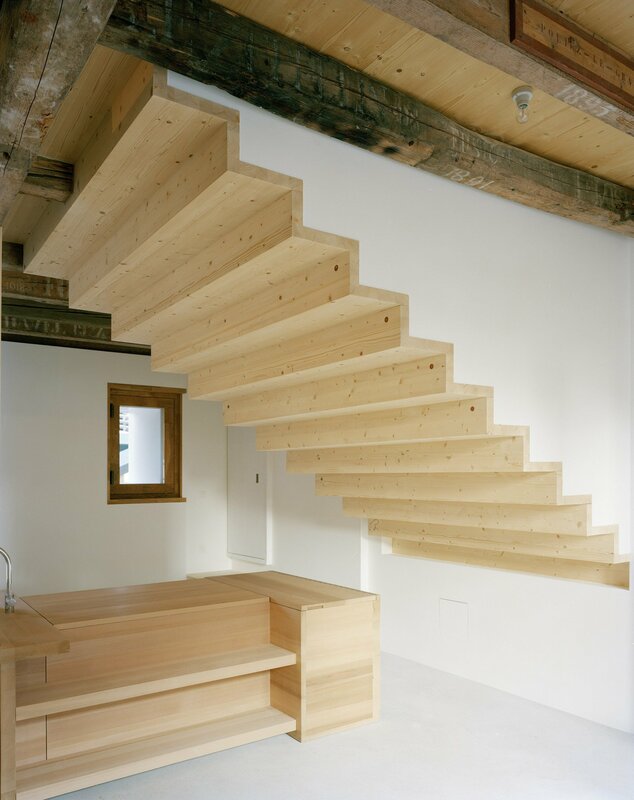 In their construction principles, the houses rely on a basic palette of materials, which accentuates their genetic similarities and differences. 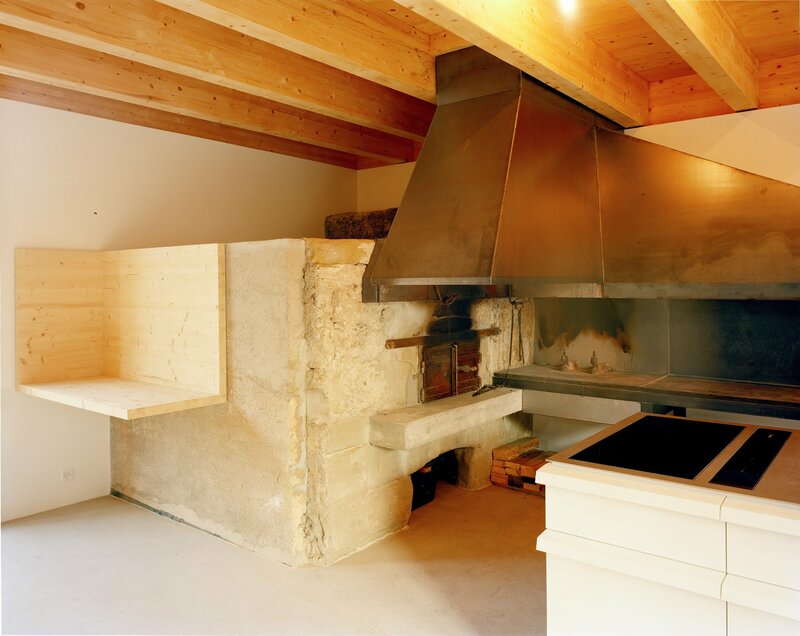 The press-house is fully refurbished while maintaining its original structure, walls and carpentry. 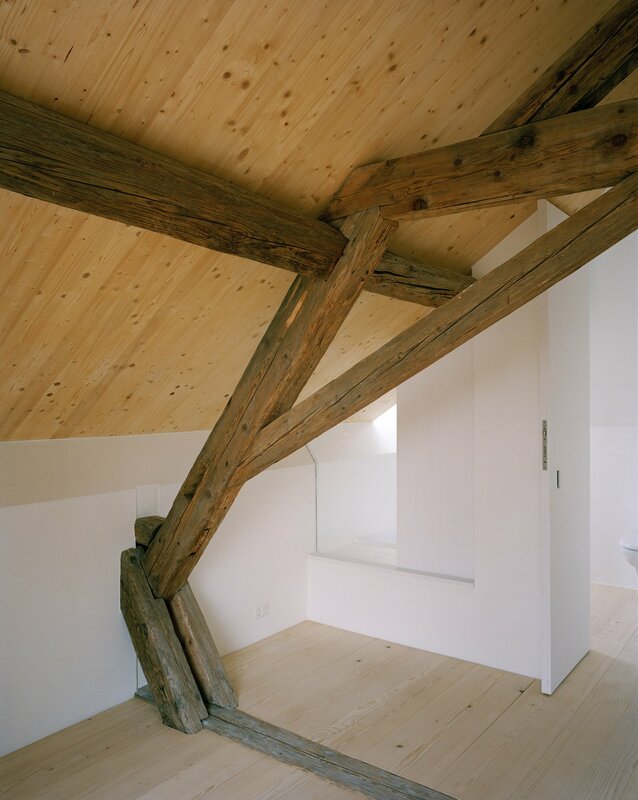 Now exposed and with visible signs of age, these structural elements tell the story of the building. 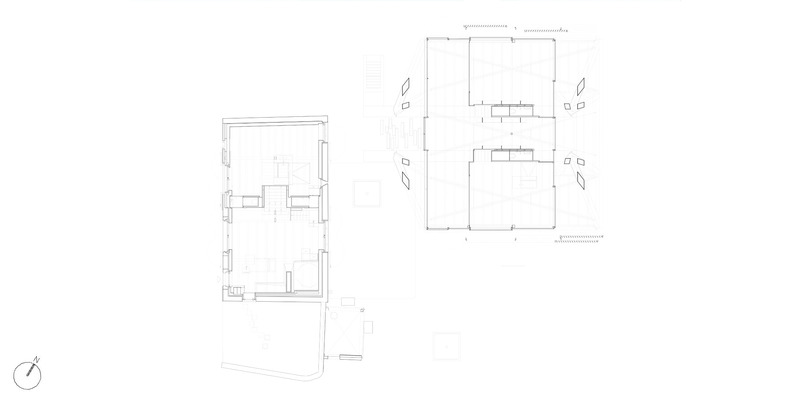 New openings follow the proportions of existing ones, literally being drawn around the facades. 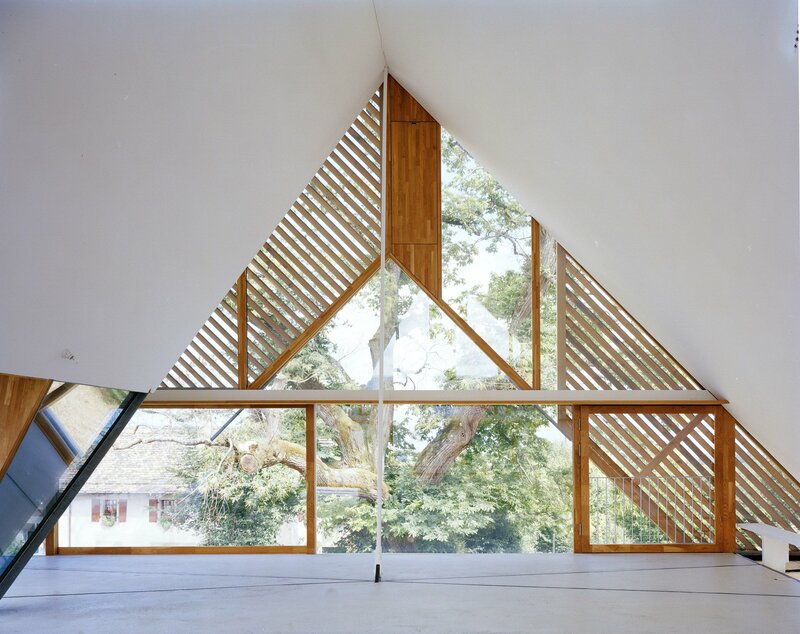 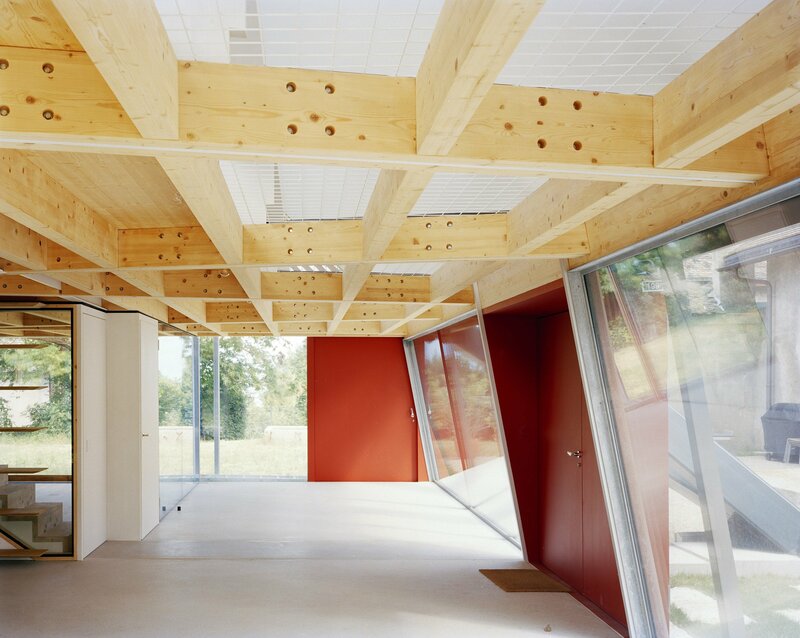 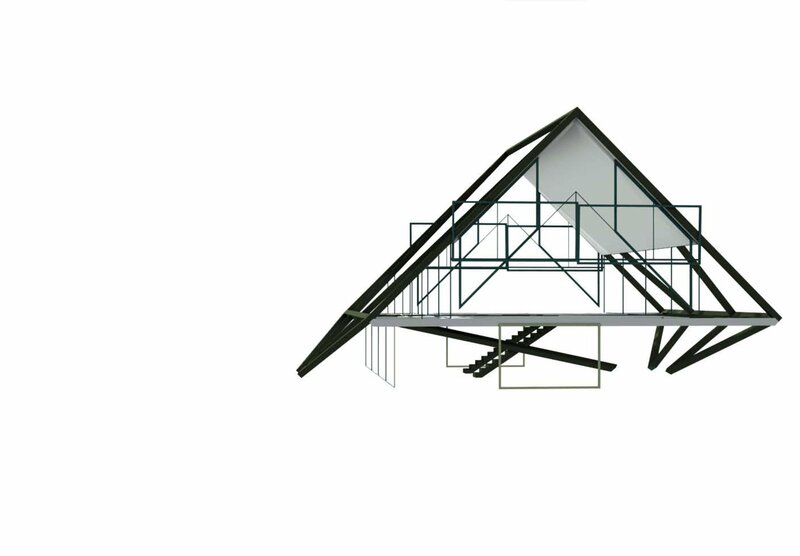 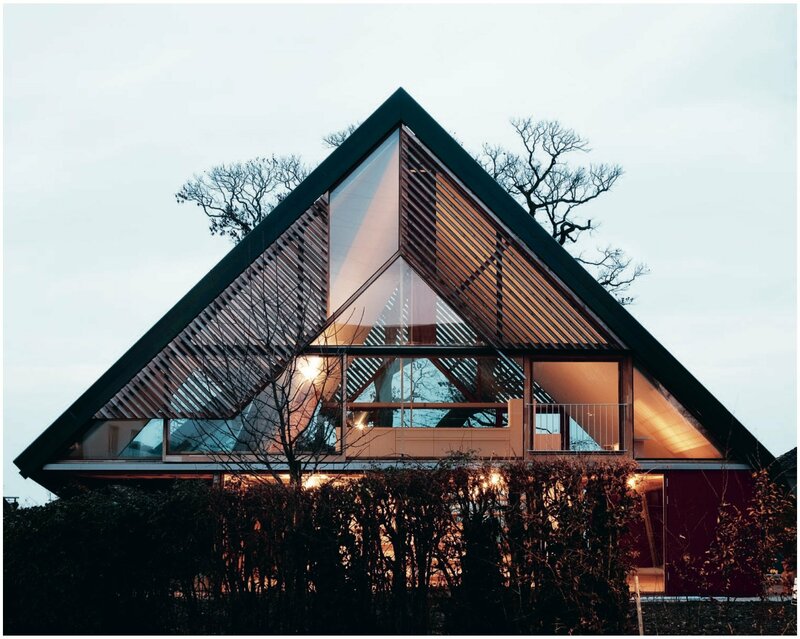 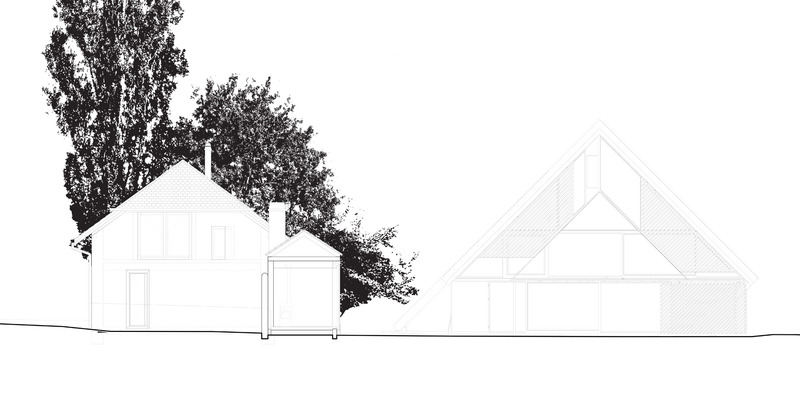 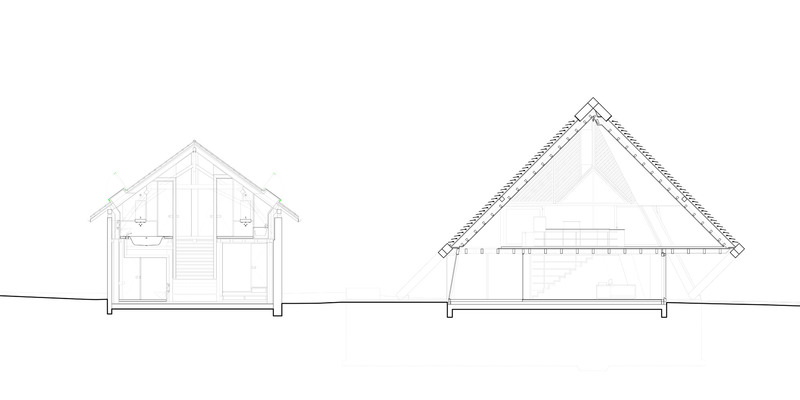 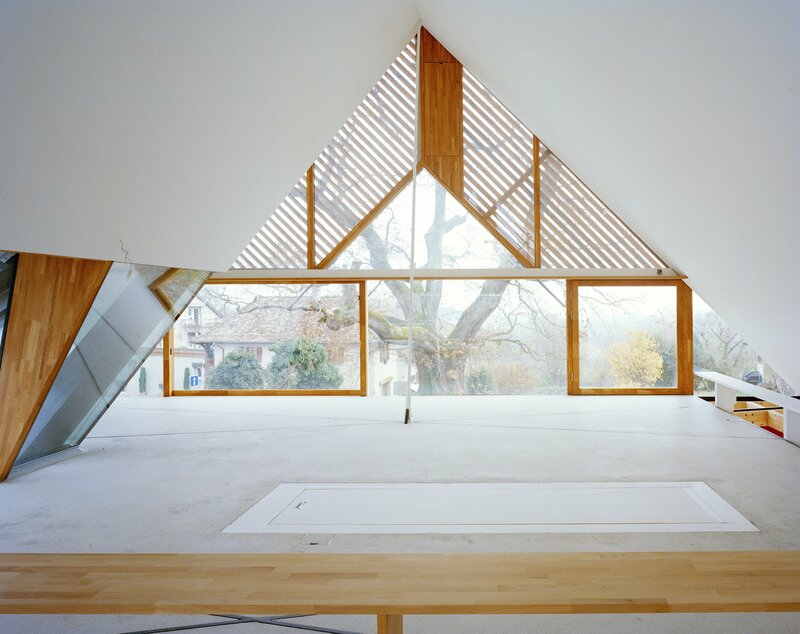 The exoskeleton of the Grange embodies a reverberation of the exposed roof truss of the Pressoir. 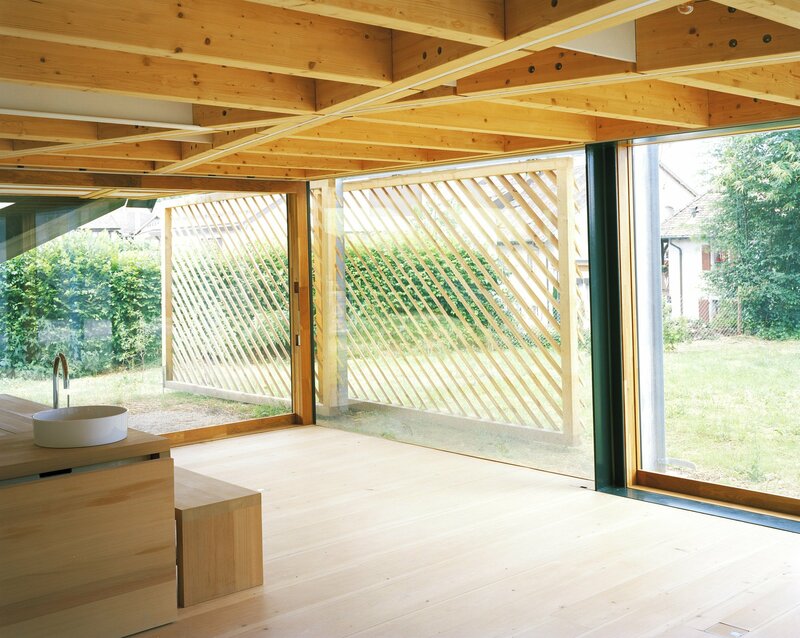 In structural consequence, the logical order is reversed and primary exposed steel is completed by a timber secondary structure. 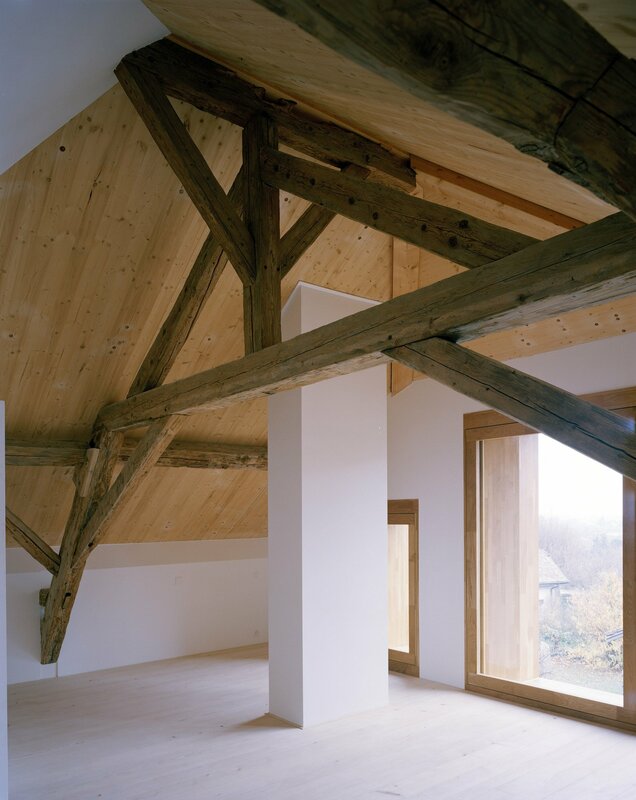 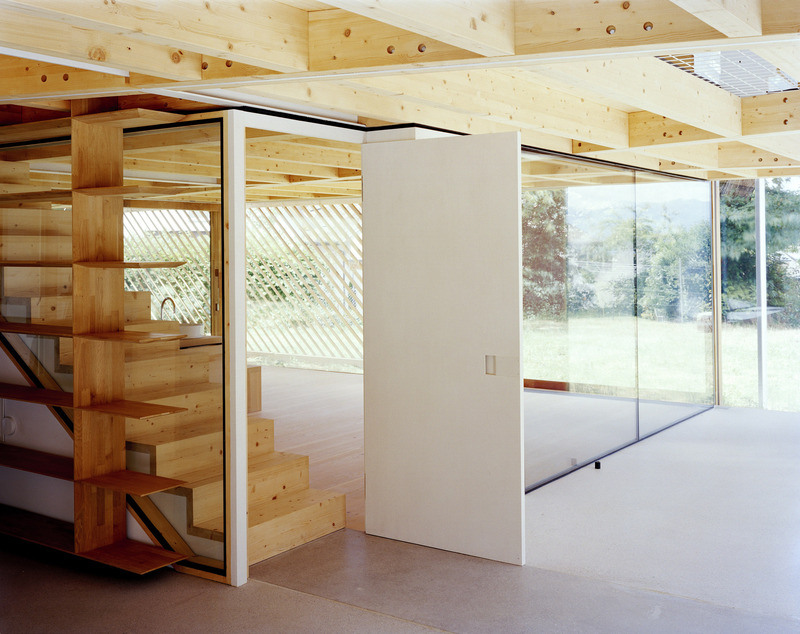 In architect Dieter Dietz’ words: “These houses offer a frame for living. 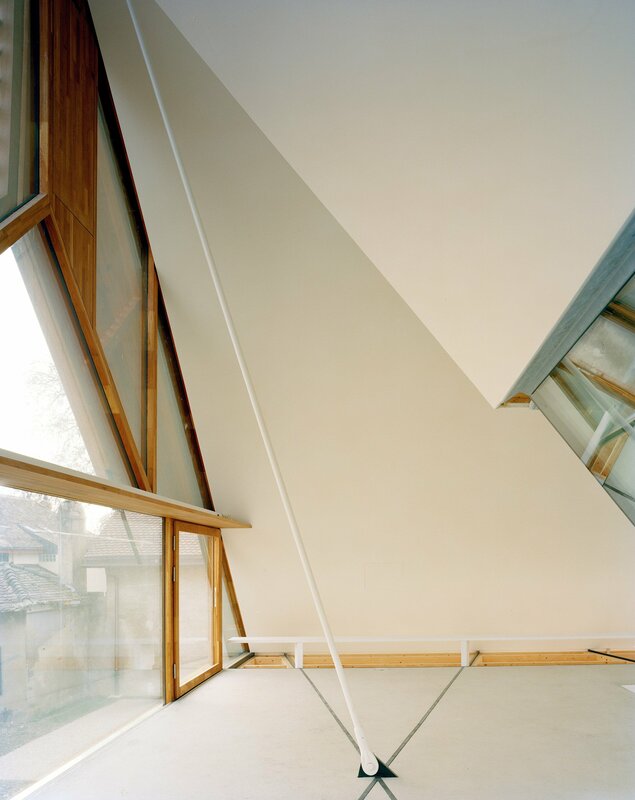 Like a canvas drawn into space that awaits life to complete itself. 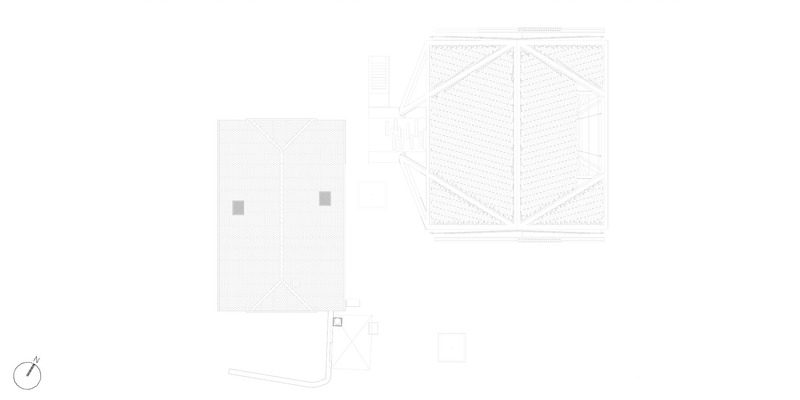 Users will further define visual and spatial articulation”. 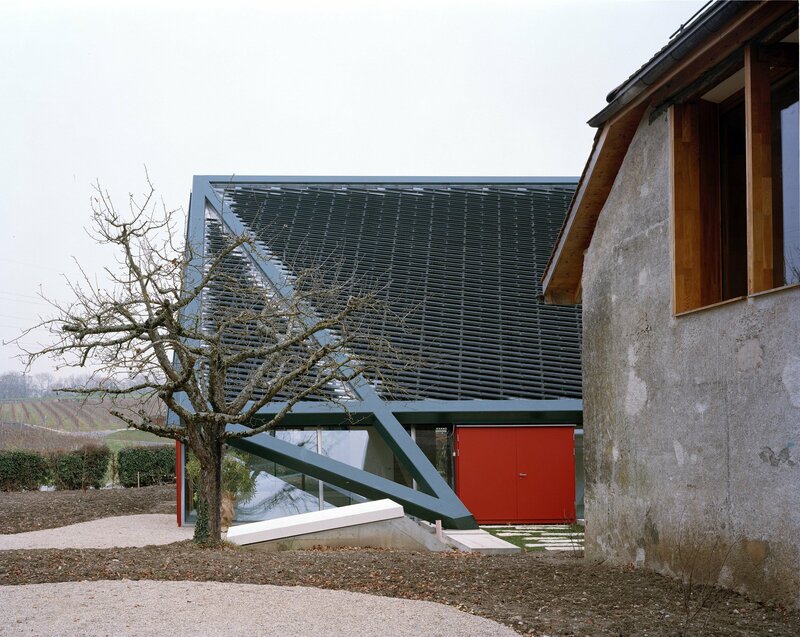 From the inside out, the two buildings orient themselves towards the Lemanic landscape, opening views onto the vineyards and the surrounding orchard. 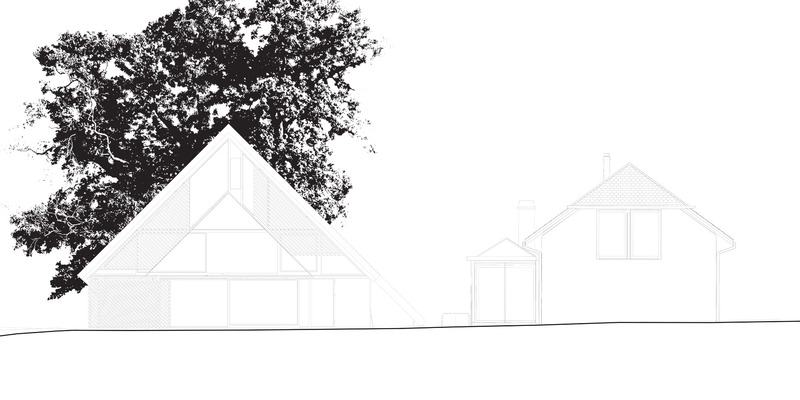 Over time, they will be fully shaded by trees and growing plants and flowers that climb between the roofs, and reflect the blossoming fusion between housing development and nature.